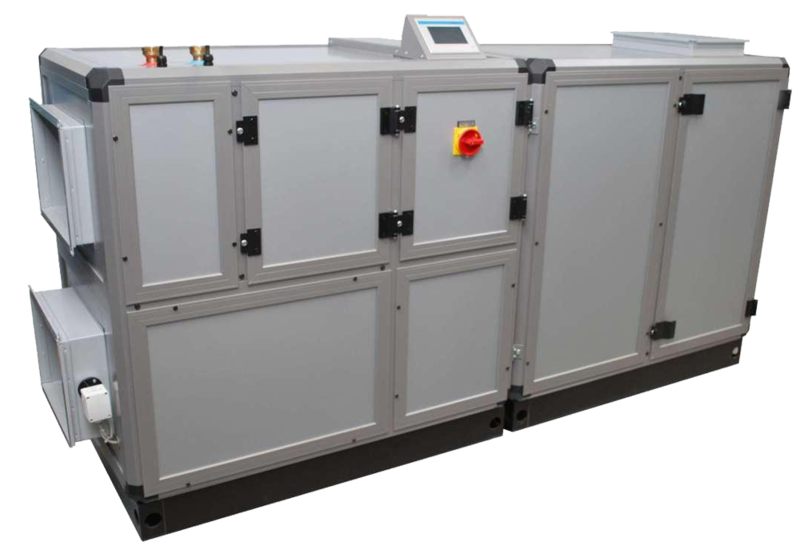 The WRG range of high-capacity dehumidifiers represents effective solution for environmental control in commercial pool halls. With magnificent recuperative heat exchange results, WRG series is designed to operate at high efficiencies. Available in 5 sizes from 700m3/h to practical 4.500m3/h, WRG models are suited for smaller commercial facilities. A further enhancement regarding economic viability and comfort is the WRG unit with the high-performance reverse flow recuperator. Using special plate structures, the removable plate heat exchanger transfers the sensitive and latent heat energy in the exhaust air flow according to the reverse flow principle in an exceptionally effective manner back into the fresh air. The temperature degree of efficiency totals up to 95 %. The performance data of the plate heat exchanger was confirmed within the scope of an independent EUROVENT test. In comparison with dehumidification units with heat pump technology, the wear-free and passive heat recovery in this construction series means low maintenance costs.